The biggest, baddest, most psychedelic climbing event of the year! Boulders! Amazing designs! Glow in the dark! Finals Round! Pizza! We got it all! 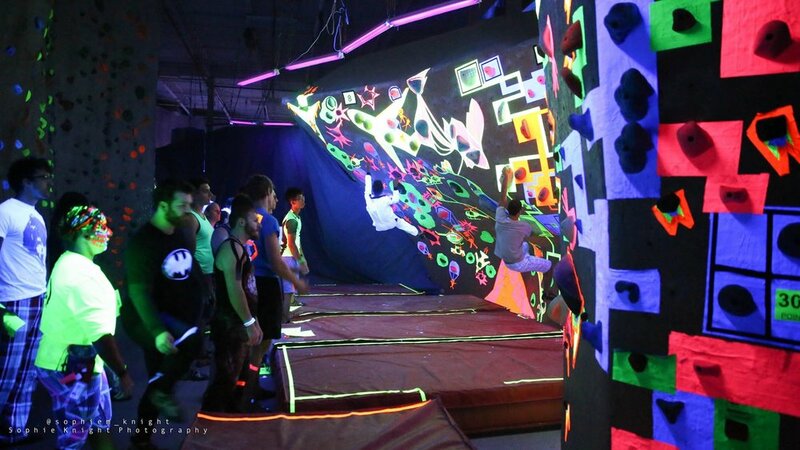 Here's the lowdown: Imagine a normal bouldering competition, but the room is only illuminated by black lights and each problem has an amazing day-glow design around it. Climbers can be part of the show by wearing white or fluorescent colors. It's the most visually interesting climbing event you'll ever see! Climbing for all ages and levels during the day, finals round in the evening, complete with refreshments and spectacle.